7. 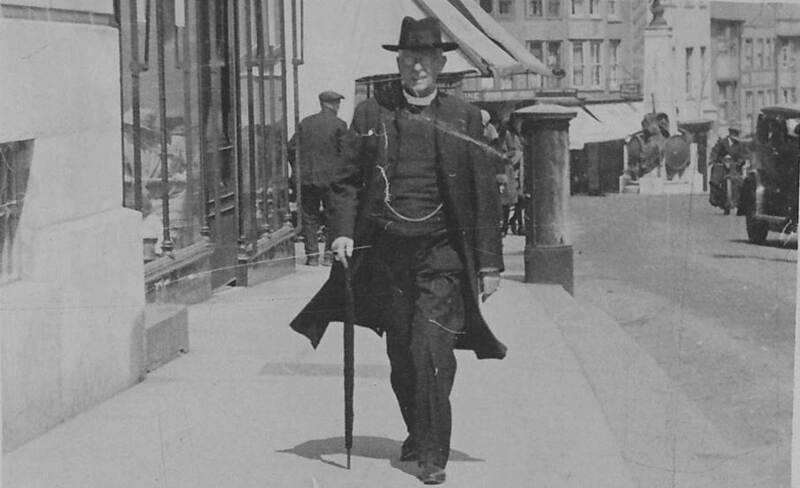 Can you name this clergyman? Our next meeting will be on Monday 12 September, when Lewes author Nigel Jones will speak about the Tower of London, the subject of his forthcoming book. 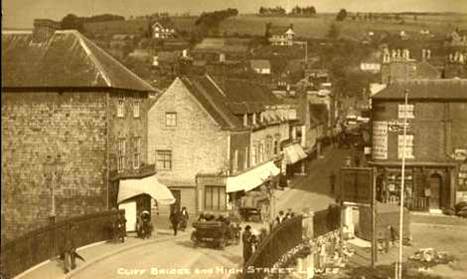 This photograph on this postcard, titled “Cliff Bridge and High Street” was taken after the Bear Inn burned down, but before any replacement was built, perhaps in the 1920s? Cliffe High Street is already beginning to look a little inadequate for the traffic. Development on Cuilfail is underway. Source: David Hitchin, ‘Quakers in Lewes’, 2010, 2nd edn, including direct quotations from the Friends records. “Whereas complaint hath beene made unto two of those who are in place to doe justice as, namely, Richard Boughton and Nathaniel Studly, of cruel persecution inflicted upon the body of a woman in the Clift, near Lewis, by the hands of a wicked tyrant, who is called her husband; his name is Ralph Akehurst, he hath chained his wife in a close back chamber in his house, between two high bed-steads, with a great chain much like a timber chain, containing thirty-five links, and a staple and lock, soe that this woman cannot move aboute the roome, or lye in the bed without this chaine, soe that with wait of itt it hath done much wrong to her legg, beside blows and bruises that he hath given her in executing his cruelty in putting on this chaine, soe that thereby her body is much weakened at present, and murther may ensue if the Lord by his providence doth not some way for her deliverance; for this man hath promised that he will never unlock the chaine from off her, soe that in all likelyhood his heart is bent to destroy the body of this woman someway, for he hath attempted her life, as she hath said, by endeavouring to throatle her. We set this forth to declare to the world, that if this woman shall putt off the body or sacrifice her life through his cruelty, that none shall hereafter upon just grounds say that she hath destroyed herself, or done any evil to her owne body, so that if innocent blood be shead, we shall be clear and the guilt shall remain upon the heads which suffer such things to be done. We do not know the outcome, but the refusal of Quakers to give evidence on oath may not have been helpful to the magistrates, had they been inclined to help. The subscribers’ faith in their justices was such that they also attached one copy of the letter to the door of Cliffe Church and another to the Lewes market-house. The 1662 hearth tax shows Ralph Akehurst as having a house in Cliffe, with 9 hearths, the second largest in the parish. 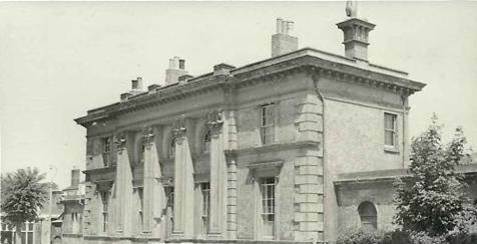 He died a few years later, and Mary survived to entertain William Penn at her house in Cliffe in 1672. She remained a Quaker and continued in business. Her merchant sons Ralph and Thomas imported cargoes of such items as wine, brandy, grain and pantiles through Newhaven. Source: John A. Cooper, ‘The Unpublished Journal of Gideon Mantell’, published online only. This first photograph shows the approach to Lewes Old Station in June 1957, then used for goods, and was taken by J.J. Davis. The backs of the Friars Walk houses are to the left. The second 1957 photograph, also by J.J. Davis, shows the first railway station in Friars Walk. Only the upper parts of the building are shown. The final photograph, which from the cars dates from the 1960s, was probably taken shortly before the station was demolished. All three photographs were offered on eBay earlier this year, and attracted several bids. 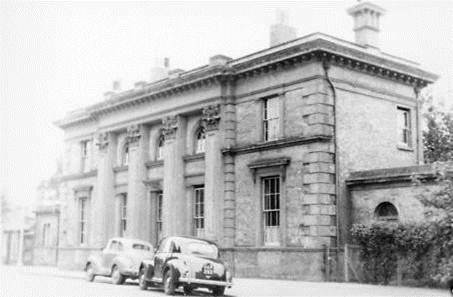 Geoff Isted purchased this photograph at Heathfield for £1.25p. It features a clergyman of distinctive appearance, with a tightly furled umbrella, walking along Lewes High Street towards St Michael’s. Does anyone recognise him? The war memorial and car in the background suggest the photograph dates from between the wars. It bears on the reverse the inscription “Leightons Cine-Snaps, Queens Avenue, Hastings”. The pillar box at the junction of High Street & Fisher Street looks to be placed at a vulnerable location. 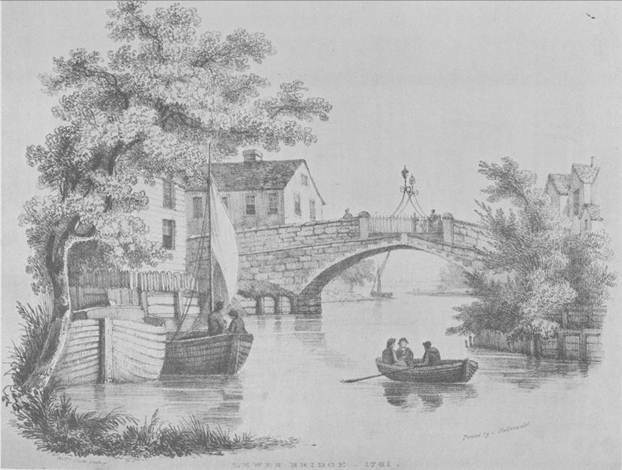 This 1781 print by William Scott, taken from the Rev Thomas Walker Horsfield’s ‘History & Antiquities of Lewes’ (1824), shows the Lewes Bridge erected in 1726, after its predecessor was swept away by a high tide. This bridge was widened and substantially rebuilt in 1932. In the 18th century the river was a much busier and more important highway than it is today. This entry was posted in History of Religions, Legal History, Lewes, Local History, Transport History, Urban Studies. Bookmark the permalink.